Additional Info: It was always going to be a musical path for Paul, as the grandson of one of the most respected and globally admired Tuba and World champion Euphonium players in the UK, the late Arthur Doyle. Paul won a scholarship to the Royal College Of Music at 13 to study Trombone (Bass & Tenor) and Piano. Following his numerous years at the RCM, Paul was offered post-grad courses at Guildhall, Birmingham Conservatoire, and of course the RCM, but opted instead to pursue regular session work, and also worked as a brass and string arranger on many popular music projects. Paul has played many orchestral sessions, and has a good knowledge of popular classical repertoire, and also has a library of low brass parts for almost any work! Popular music genres from big band to jazz to pop have also featured heavily in Paul's session playing. 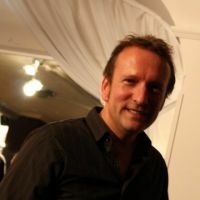 Paul can work Worldwide and is based in London and Provence,France, so readily available to take on work across Europe and beyond.